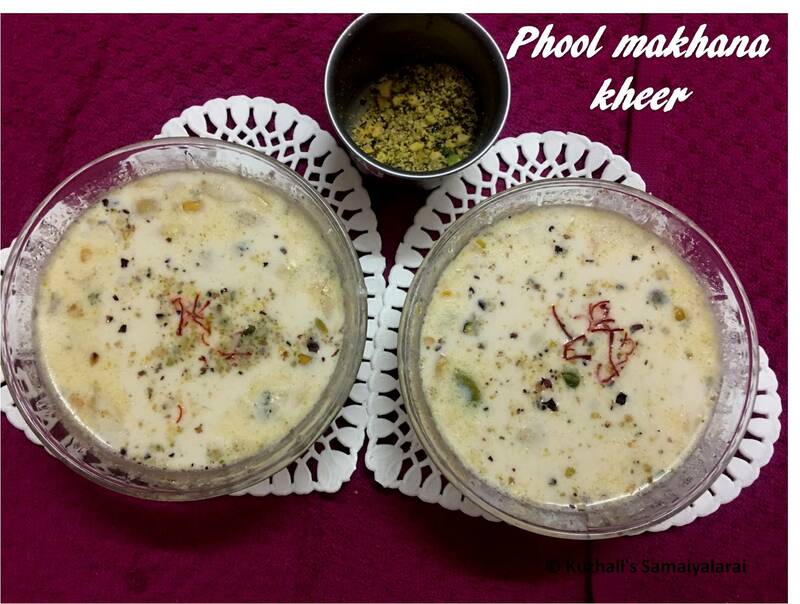 Pool makhana kheer is a yummy kheer verity. Pool makhana /Lotus seeds is very good for health and it is having excellent source of nutrients. 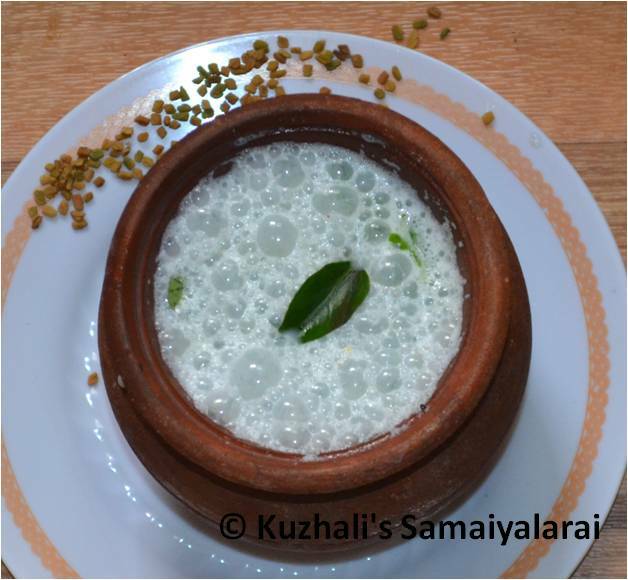 It is nothing but the lotus seeds and rice cooked in milk and added with nuts for extra taste. 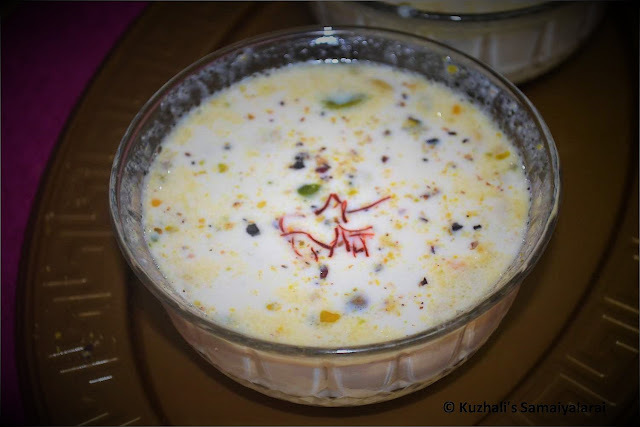 Actually i have never tasted the pool makhana kheer before. I first brought pool makhana to make fries only. After that I made that phool maknana fries few times for evening snacks. 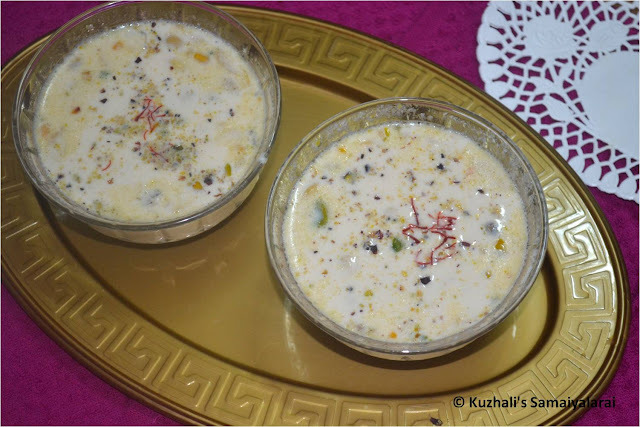 Then I saw this recipe of phool makhana kheer in manjulas kitchen. I liked this recipe and tried. It was so creamy and delicious. In this recipe i have used caramelized sugar. this caramelization of sugar gives nice flavor and color to the kheer. instead of adding sugar directly , we can add this caramelized sugar in other kheer also to give nice smell and color. 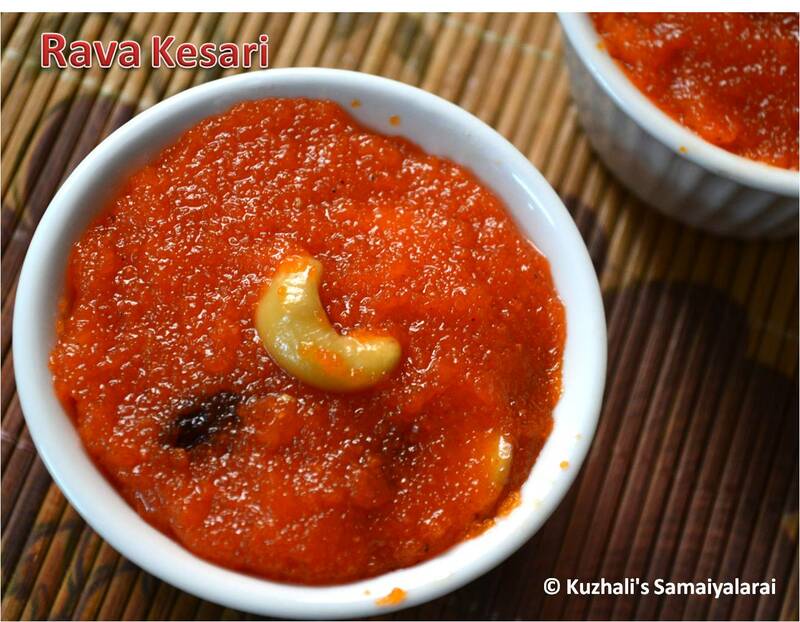 I have used the same concept of sdding caramelized sugar in thirunelveli wheat halwa also. 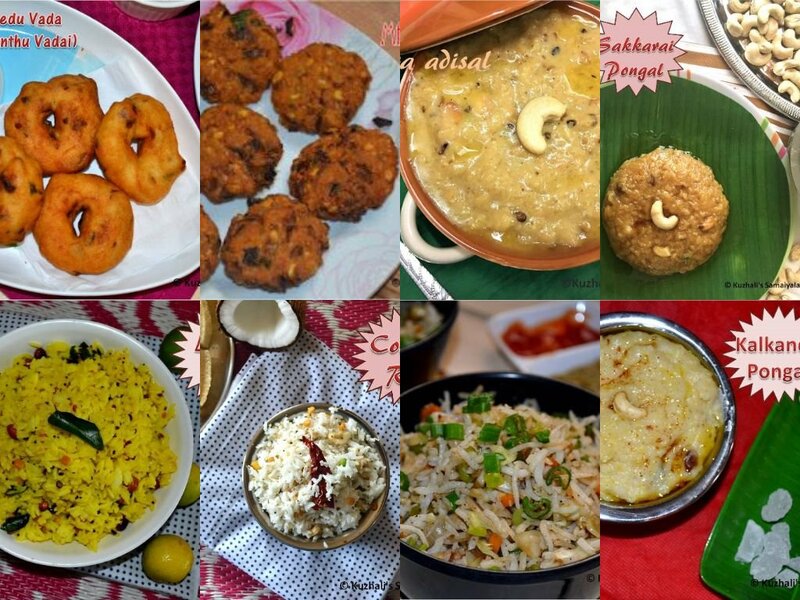 You can check the recipe in the below link if you are interested. 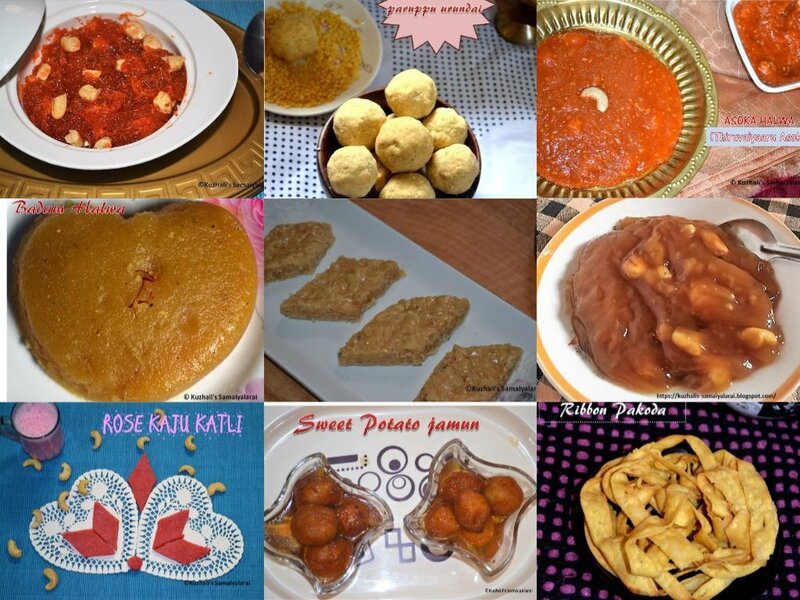 Also please check the below links for the other kheer recipes in my blog. This is my 100th post of my blog. So planned to post a sweet recipe and felt it is a perfect one. Ok now coming to the recipe. 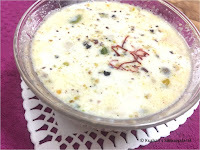 Pool makhana kheer is a yummy kheer verity. Pool makhana /Puffed lotus seeds is very good for health and it is having excellent source of nutrients. 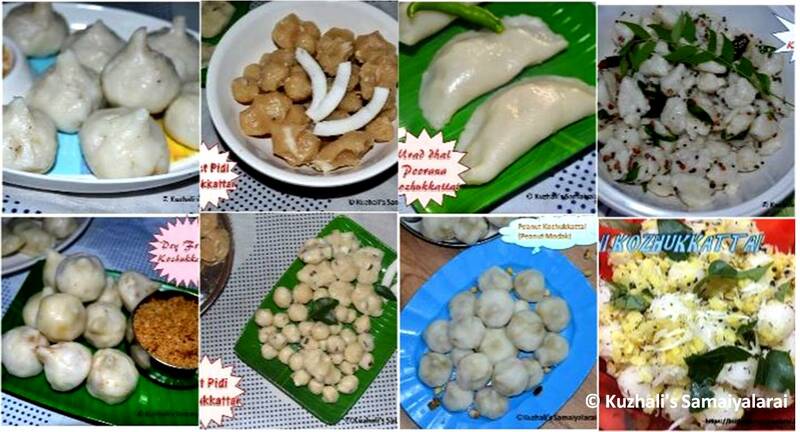 It is nothing but the lotus seeds and rice cooked in milk and added with nuts for extra taste. Soak the badam in hot water and then remove the skin. Chop the almond and cashews into fine pieces. Crush the pistachios into finely. Cook the rice and keep ready. In a pan add the phool makhanas and dry roast them in medium flame. This step may take 5 to 7 minutes. Then remove them from heat and then chop the makhanas into halves or quarters (depends on its size). In the same pan add the milk and allow it to boil. 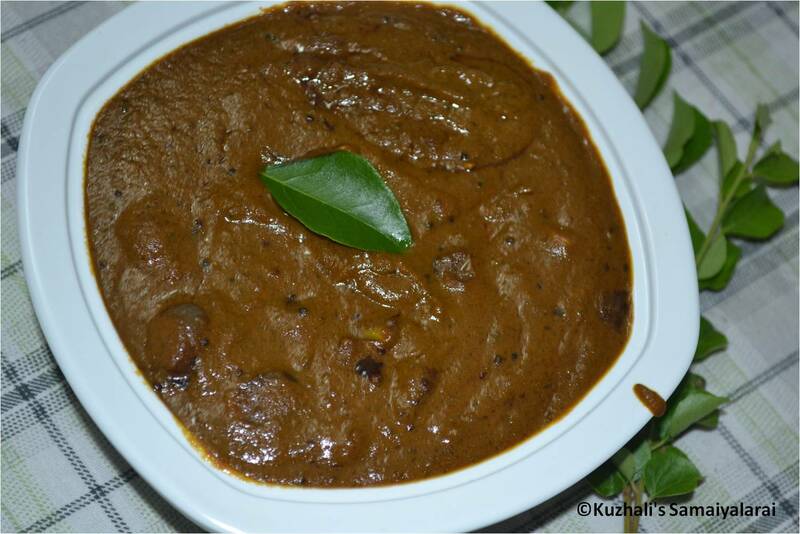 Once the milk starts boiling, add the roasted and chopped makhanas and mix well. Let it cook. Then add the cooked rice and mix well. Let the milk to boil continuously. Then add the chopped cashews and almonds and stir. In a separate pan, add the ghee and half of the sugar and let it low heat. The sugar will starts to melt and once it gets caramelized means starts to change into brown colour and thick, immediately remove from heat and pour in to the boiling kheer. The caramelized sugar may become solid, but in the heat it will melt, so no issues. 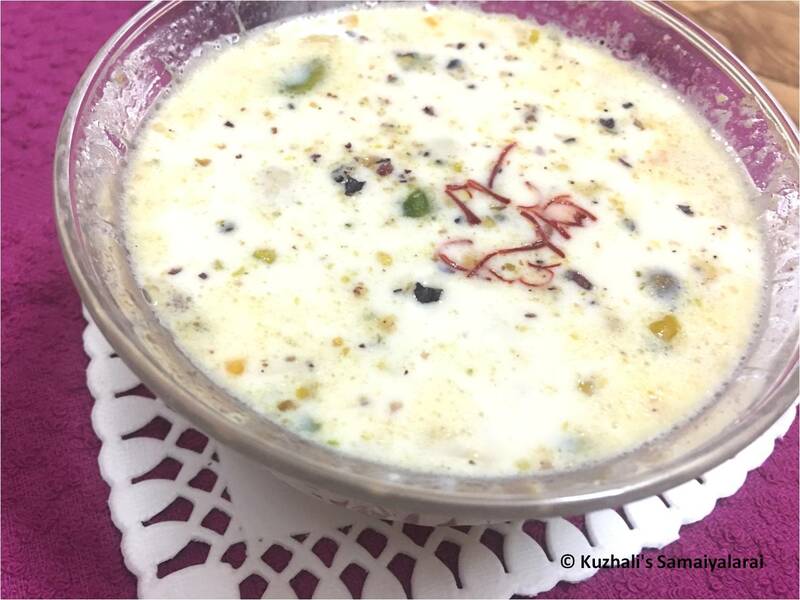 Continuously stir the kheer to avoid the burning at the bottom. Add the remaining sugar and mix well. Then add the crushed pistachios, saffron and cardamom powder and mix well. Once the kheer reached the required consistency, switch off the heat. Then add the kewra essence and mix well. While roasting you can add little ghee also. Instead of chopping you can roughly grind it just give one pulse , that’s enough. No need to powder. If your lotus seeds are small, then this step itself no nee. Directly you can add to the milk. 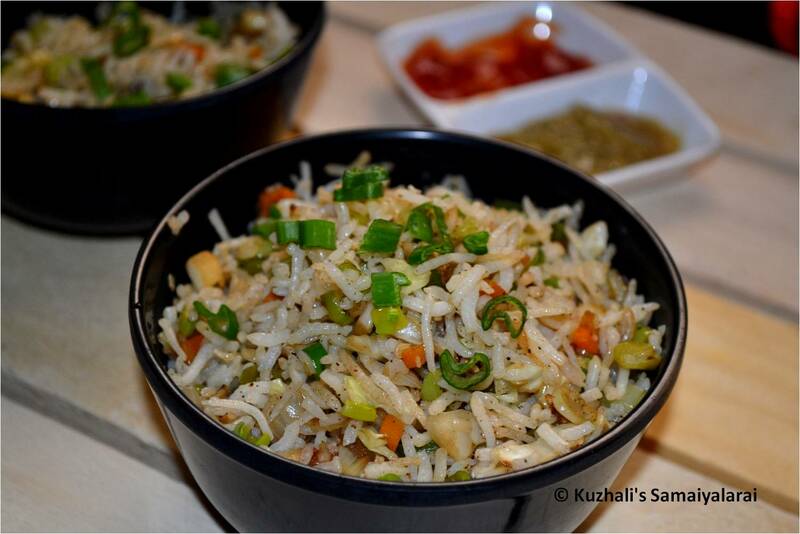 Instead of cooked rice you can add 2 or 3 tablespoon of roasted poha also. 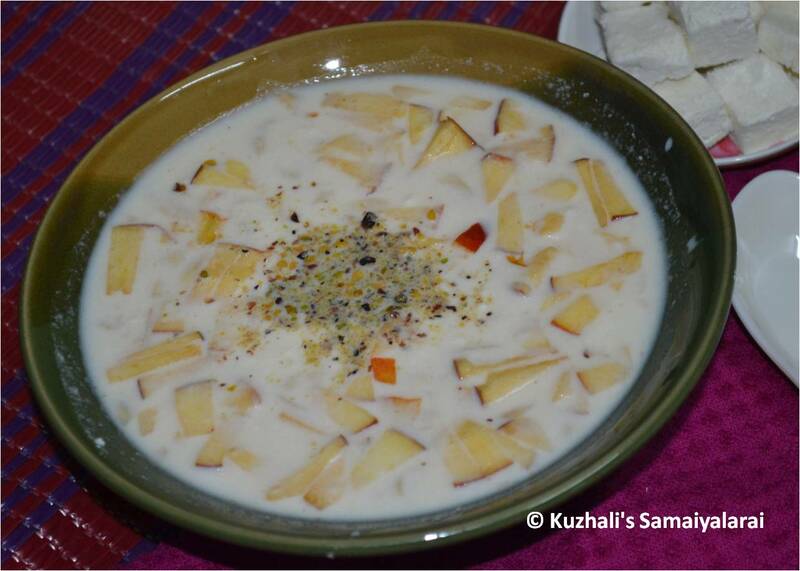 Caramelizing the sugar is purely optional, but it gives very nice taste and flavor to the kheer. You can reduce half of the sugar and add condensed milk also to give nice rich taste. Also you can reduce the milk and add evaporated milk to reduce the cooking time. While adding the caramel, it may get harden, so stir continuosly, it will melt and mix nicely with the kheer. 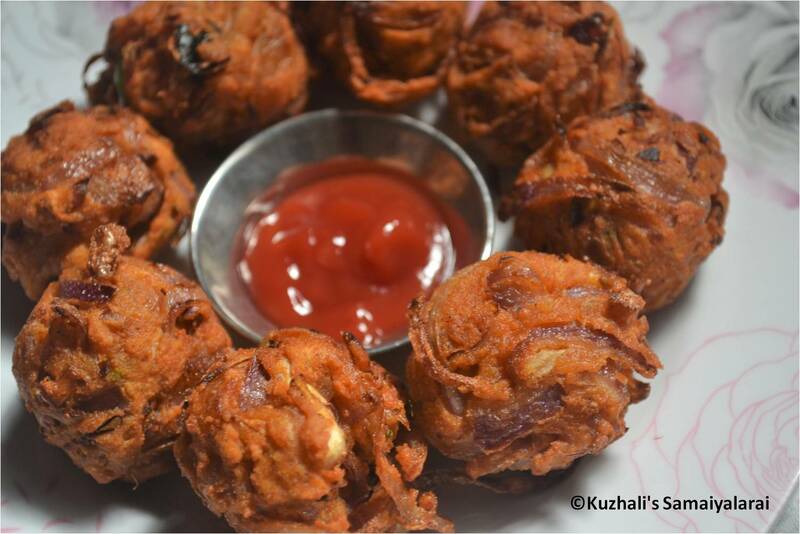 Do try this recipe and please don’t forget to give your feedback in comments. 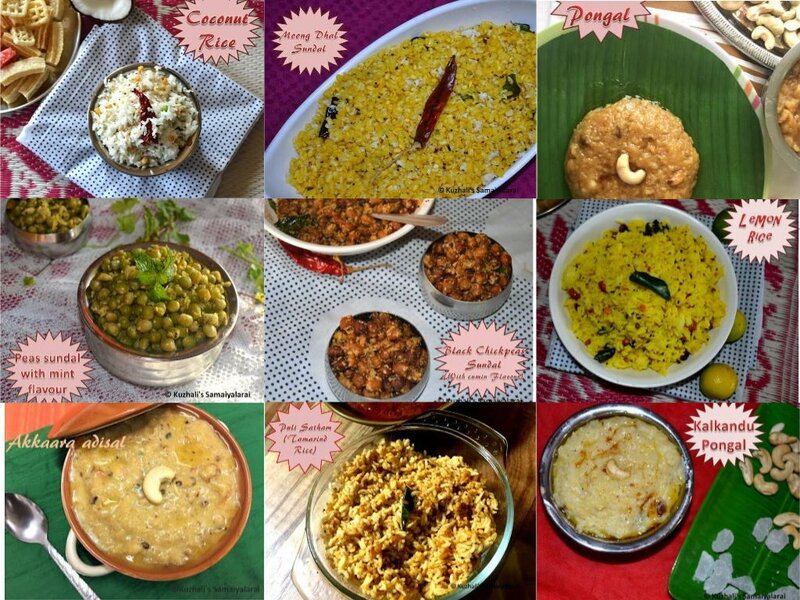 To get the update of new recipes posted in my blog please do subscribe to my blog or like my facebook page or follow me on pinterest or add to your google + circle. Copyright © Kuzhali's Samaiyalarai , 2017. All rights reserved . Powered by Blogger.